Home News Opinion Innovation: Is it good or bad? Head of content at Medical Plastics News, Lu Rahman, discusses the positive and negative impacts that innovation can have within the healthcare and medtech sectors. This issue has delved into innovation. The medtech and healthcare sectors are undoubtedly, continually innovating. Whether it’s materials that help prevent the spread of bacteria, or digitally enabled devices that help improve both patient care and clinician’s time, or labs on chips that help us explore and ultimately treat, conditions such as diabetes, the sector pushes the boundaries with one single aim – to help improve our health. But is innovation always good? We assume that breakthroughs are to be applauded but is that so? As technology increases, as we embed digital sensors into medical devices, and as we link increasing numbers of these devices to clinicians and hospitals, we also increase the risk of cyber attack. The more we advance, the more problems we create. In the case of connected devices, we continue to innovate to counteract hackers - are we just increasing our workload?? We think of innovation as improvement – but is it always? Take the drive for increased automation and smarter systems that comes with the Industry 4.0 movement. As we move to produce goods faster, more efficiently and with more cost-effectiveness, have we taken into account the effect on jobs, on the companies that might get left behind, and on sustainability? I believe in innovation. But it does come with a price. While we work to create better materials and devices that benefit our well-being, we also need to ensure we develop systems and procedures that exhibit a corporate and social responsibility. Of course this isn’t easy. 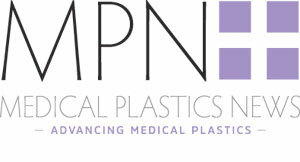 The medical plastics sector is particularly hard to make part of the circular economy. However, it isn’t impossible. Innovation is a crucial way for us to develop and is, ultimately good. But it’s when we take our eye off the ball that it can become less good. The creation of polymers has enabled the advancement of so many sectors and brought goods to the consumer at prices affordable to the masses. It has created industry on a magnificent scale – the global plastics market is expected to reach 654.38 billion by 2020. The medical plastics sector is astounding. Advances in orthopaedic products see the use of materials that are similar to bone and offer greater patient comfort. There are situations when plastic drug delivery devices offer advantages over glass – less breakage, improved manufacturing process ie no need to remove glass dust once produced. Plastic is a versatile material for a number of medical devices offering fewer infections and better patient comfort. However, despite examples like these, it is the images we are currently witnessing of plastic-swamped oceans, that make many people remember. Yes, as we develop innovative materials we need to develop innovative ways to recycle and re-use. Innovation leads to the need for more innovation but that doesn’t mean we should stop trying to reach the next step. Eventually we should end up with materials and products that take into account their whole life cycle and that of the planet. While we may feel dismayed at the images we see, it’s also a great opportunity to be part of a change that will benefit us all on a global scale.